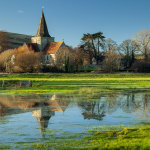 One-day landscape photography workshops in Sussex and South East England in small groups. 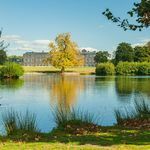 Group workshops are held in a variety of locations across Sussex, on the coast, in the country (notably on the South Downs) and in urban environments, occasionally also in London. During a workshop you will get help with both the technical and aesthetic side of photography. What camera settings to choose for landscape photography, where to focus to get the best results, how to use the histogram and why you need to use it, how to use graduated filters. How to create engaging and strong compositions, what lens to use to achieve specific effects, how to find the right perspective, how to work with light in different conditions and with different subject matter. You will get exhaustive answers to these and many other questions. Group courses are NOT "lectures", you will always get individual attention. Whether you've just got your first DSLR or have been taking pictures for a while, and however modest or advanced your kit is, you're guaranteed to get just the advice you need and spend time in a friendly atmosphere with like-minded people. However, if you're just starting with photography and would like to learn how to use the camera in general, an individual photography training session might be actually more beneficial for you (read more about individual sessions). Regarding your equipment, apart from the camera and lenses a tripod is indispensable, and a remote (cable or wireless) highly advisable. 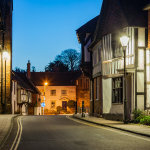 If you plan on coming to Sussex from further afield and need accommodation, consider this lovely self-catering cottage in Steyning, a beautiful historic little town nestled in the South Downs National Park a few miles west of Brighton. If you mention you're coming to join any of my workshops, whether group or individual, when making your booking you will receive a 10% discount (valid for stays between 2 and 4 nights). By bank transfer or Paypal. Gift certificates available. If you have any questions, would like to book a space or sign up for the newsletter to receive information about future workshops, get in touch here. 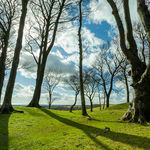 Telephoto and wide angle landscape, trees. About 3 miles of walking on hills. Landscape, architecture and "blue hour". About 3 miles of walking on rough terrain. About 3 miles of walking.